July 25, 2018 was a momentous occasion for the diocese of Harrisburg! 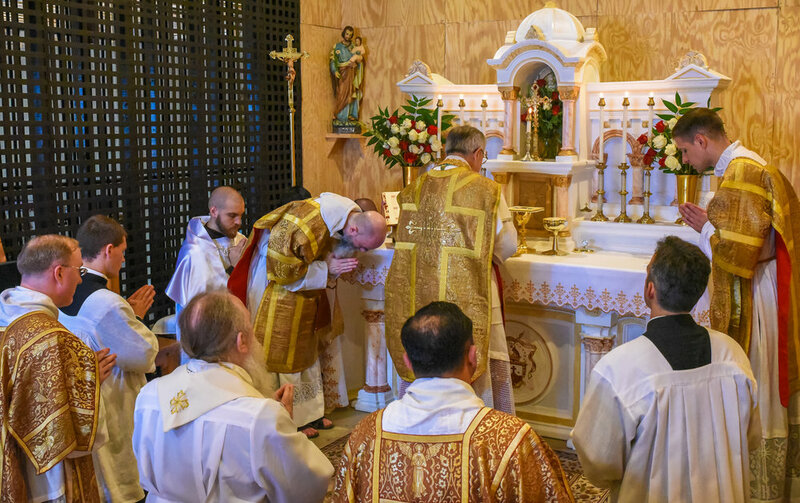 Bishop Ronald Gainer celebrated a Solemn High Pontifical Mass in the temporary chapel at the Carmel of Jesus, Mary, & Joseph Fairfield. Nine Nuns now live there, papally enclosed, and will oversee the building project until its completion in the next several years. Braving torrential downpours, muddy pathways, and fewer seats than there were attendees, over 200 faithful came to witness this powerful occasion. 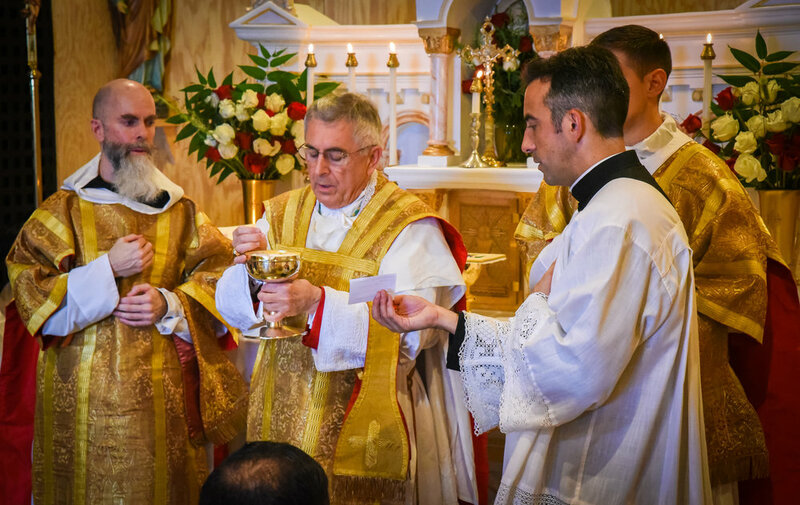 Preceded by a Clothing Ceremony, Bishop Gainer then celebrated the High Mass, followed by a meet and greet, and then finally, the Enclosure Ceremony. Bishop Gainer later spoke to us about the importance of these Nuns in his Diocese, of the Latin Mass, and the pursuit of Holiness.